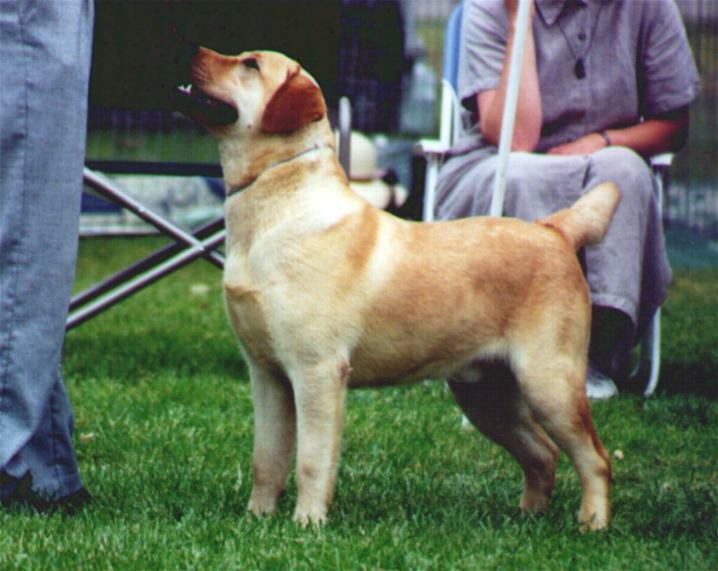 He is a beautiful strong boy with a excellent temperament and Servant's second stud dog. Boaz retired 2003 and no longer available for stud service. This photo of Boaz was taken at the LRCSC Speciaty Show. Boaz passed away 2007, he will be greatly miss by Servant's Labradors.